I have to say, I love doing design work for celebratory events. Whether it is for baby showers, weddings, anniversaries, Submarine Day (seriously, mark your calendar for March 17th), you name it I love it. There is just an excitement in the air that can’t, and should not be, contained and I love sharing in it. 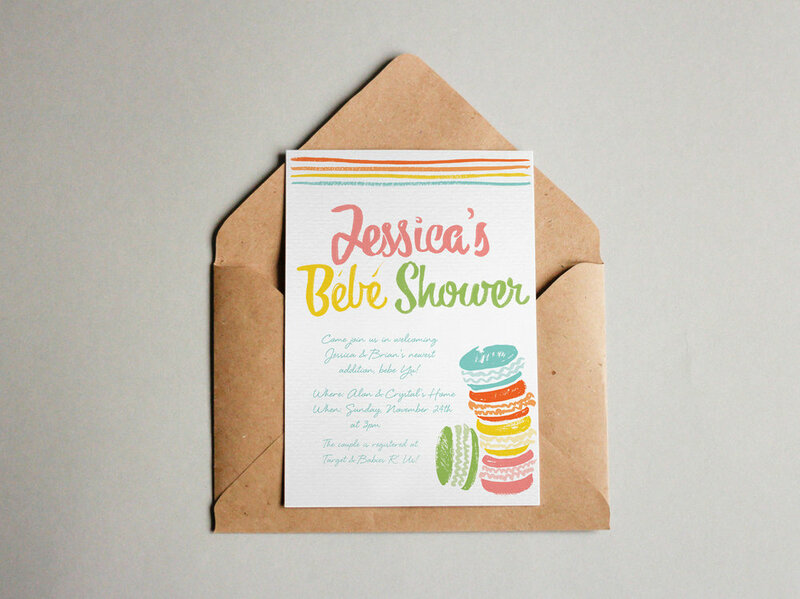 Here is a French-themed Baby Shower (or Bèbè Shower) invitation I recently completed. The expectant couple is adorable, and toy designers to boot (how lucky is this baby?). I created a mood board that would capture the francophile tone as well as play with some handlettering and pastel/vintage color-themes. I got to whip out the paint brushes on this one for the lettering and macaroons and had a blast. Congrats Jessica & Brian! WELCOME TO MY HOOD, FABRIC STORE!